Nakamura sole winner, Anand drops the point. Adams and Topalov stop the rot. 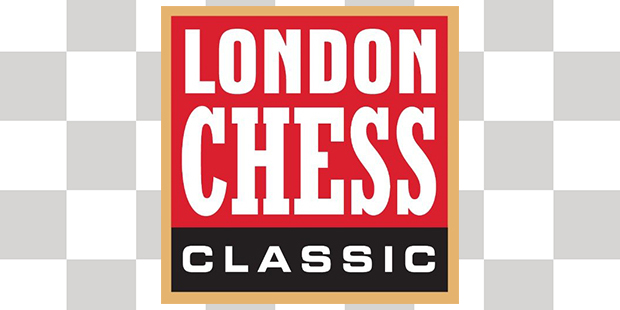 The London Chess Classic 2016, continued with round-3 on December 11th. Unlike previous rounds, it contained mainly draws, with only one game being decisive. 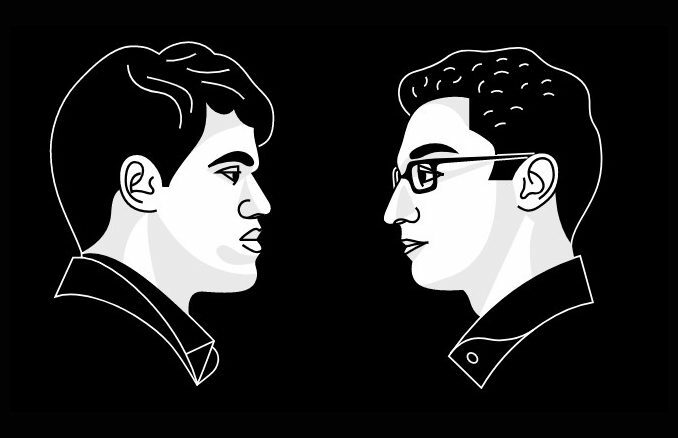 This was to the benefit of Hikaru Nakamura, who took the wind out of the sails of Viswanathan Anand. Their game took the form of a Queen’s Gambit Declined, Ragozin Defence, which saw a very full position in which White obtained the best of things. Anand was handed the bishop pair, but was not in a position to use it with the board being so loaded with pieces. His position started to lack shine very quickly. 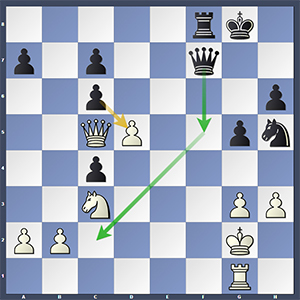 Nakamura, however, did not seem to be clear as to how best to proceed and this gave his opponent a glimmer of hope of getting back into the game. 22.Qd2(?) 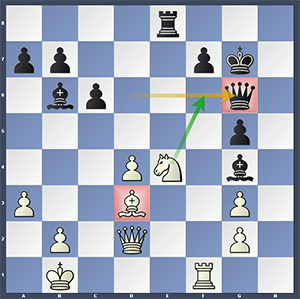 was especially poor, for tactical reasons and gave Black the opportunity to turn the stance with 22…Bxc5 and 23…Qxc5. Unfortunately for Anand, he did not take his chance and from here, Nakamura’s position grew steadily. Already under pressure, Anand’s 27…Qg6(?) allowed White to play decisively with 28.Nf6! and the point was his without too much resistance. White continues with 28.Nf6, winning. The rest of the games being draws was good news for GM’s Adams and Topalov, who had not recorded a score in the previous two rounds. I think that Veselin Topalov came out for his game against Maxime Vachier-Lagrave with a damage limitation attitude and that perhaps explains why the game only resulted in him gaining a half point. Personally, I think it could have been more. Playing the black side of a Berlin Defence, Topalov did not get a great situation out of the opening, but White failed to capitalise on this and Black’s situation steadily improved until he was actually slightly better — 25…f5-f4 was illustration that the initiative had shifted. I think that this is where psychology and mentality over the board comes into play, and it is my belief that Topalov came out with the single objective to stop the rot and not lose. This in itself would explain the Berlin Defence as his choice of opening, it being widely known that it needs the cooperation of both players in order to get a fight. Also, though, Topalov twice had the opportunity in this game to push for more than a half point — 29…Qf3+ looks extremely nice for Black, but was declined for the less committal (though well founded) …Nh5. Then, just a move later, 30…Qf5 gave way to …cxd5 and this allowed White to bail. I don’t feel that it is a case of Topalov missing these possibilities, I think it is more likely that he just was not looking for them. Anyway, whether I am right or wrong on this is no matter, after 30…cxd5, White solved his issues and the point was shared. Black continued 30…cxd5. …Qf5 seems to offer more. Wesley So will have been quite content to have held Levon Aronian with the Black pieces, especially as he did not have the best of things out of the opening. In the Symmetrical English, Aronian had the position in a tight grip, but his decision to not play d2-d4 on his 25th move likely cost him a little bit. When he did play it on his 26th, it had much less spice. His advantage gradually faded after this and Black was soon able to liquidate into a more manageable situation. 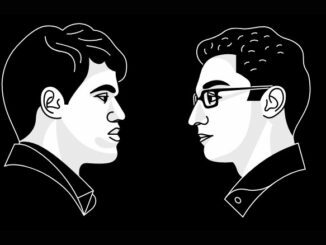 Fabiano Caruana and Vladimir Kramnik got into a Giuoco Piano, which saw White not making the best of a slight opening advantage. The Queens came off at move 26 and this was really a signal that the game was not going anywhere and sure enough, further liquidation and simplification followed rapidly. By contrast was Giri-Adams, who could arguably have agreed a draw at move 30, but managed to make their game last 61-moves before they split the point. All this meant that Wesley So holds the lead going into round-4.